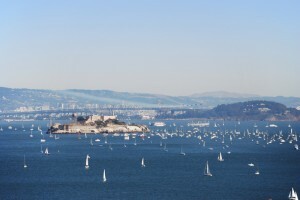 I moved from Berkeley to San Francisco, and found an apartment on Russian Hill, with a view of Alcatraz and the Bay. No writing was getting done because I kept staring out the window. Back to the cellar I went…. Modesty Mail: I refuse to send a naked envelope! All my letters and packages are decorated with stickers and pictures (and that goes for my emails)! Fave Color: “Ticonderoga Pencil” Yellow! "From then on, all of my best writing was done either in snug, dark closets, or at desks facing blank walls." Confession: I eat cereal for dinner sometimes, and My Merry Mix is a blend of three to four different kinds. Fave Flavored Jelly Beans: Red, black, and pink.